This is such a very exciting time for you! I am sure your mind is racing with all that needs to be planned. It’s all very exciting, but it can also be overwhelming. My goal as a wedding photographer is to make this one aspect of your planning process simple. Photography is more than just images, it’s a real part of your wedding day. Not only do you deserve beautiful images, you also deserve an amazing photographic experience. My goal is to provide great customer service and support to all of my clients. As part of that support, all of my clients receive a comprehensive wedding planning guide. This guide is intended to help you plan your wedding day in a way that will also allow me to provide you with the best experience possible. 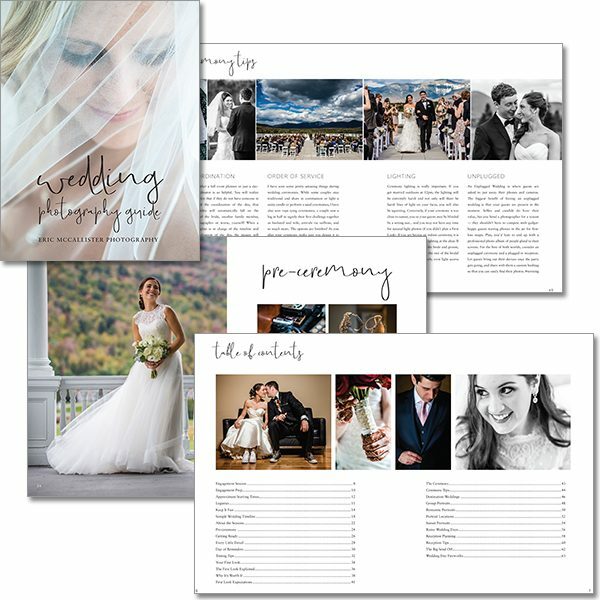 The Wedding Planning Guide covers topics such planning your engagement session, tips for putting a timeline together, and the ins and outs of a First Look. You'll find over 60 pages of useful information! If you are planning a wedding, contact me to learn more!